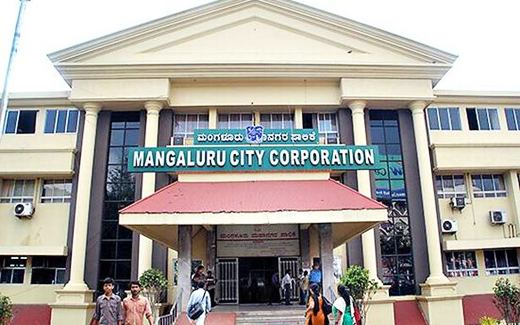 Mangaluru, Jan 28, 2018: Congress party in Mangaluru City Corporation (MCC) has problem of ’ too much’ when the election to the post of mayor and deputy mayor takes place, March 10. With the state government finally announcing reservation matrix for the posts of mayors and their deputies in 11 urban local bodies in the state including MCC, Congress has to contend with the fact that both posts are reserved for general category, making all their 35 corporators eligible to stake a claim for either of the post. Congress as part of ensuring social justice has so far chosen a Bunt (Mahabala Marla), Christian (Jacintha Vijay Alfred), Jogi-backward class (Harinath) and Billava (Kavitha Sanil) as mayors for the first four terms. With this being the fifth and the final year of the current council, the choice of next mayor could send out signals to electorate as the civic body gears up for polls in anytime in early 2019 or at a time the government then in power might decide. A thought process in the Congress is swaying between considering a Muslim corporator for the post of mayor for this is the only community that is not represented in the list of mayors during the current five year term or going for a candidate from a dominant community. Both Mahabala Marla and M Shashidhar Hegde, chief whip of ruling Congress and points man of district minister B Ramanath Rai in MCC council, confirmed this line of thinking in the party. Admitting that it is too premature to zero in on a potential mayoral candidate given that the Congress has always selected its candidate at the last moment, Shashidhar Hegde told media that if one goes by seniority Bhasker K should be the logical choice. But if the party were to consider factoring in representation for a Muslim as mayor, then K Mahammad and Abdul Raouf are the frontrunners, he said, adding that the party leadership will consider all these factors. Marla said the party leadership could tread cautiously in that selecting a Muslim might send out mixed signals to electorate in that two MLAs - B A Mohiuddin Bawa and J R Lobo who represent the 60 wards of MCC in the state assembly - are also from minority communities. "This could be used as a plank by our opponent accusing us of appeasement," Marla said, adding party’s decision will reflect its strategy as it gears up for civic body polls sometime next year. Party wise break-up: Congress-35, BJP-20, JD(S)-2, CPI(M) - 1, SDPI-1, Independent-1.